I wonder IF anybody will have any special Mother’s Day packages available? I’m so tempted by the 750 but it is a bit high next choice would be 7500. Better choice would be the reconditioned 7500. No, it’s only available in the US. Am Interested In Reconditioned VitaMix 7500. Everyone posts links to the reconditioned link for Vitamix but they all lead to the main products page and I can’t find the reconditioned page ANYWHERE! Can someone tell me why & how to I find it? The reconditioned links don’t work if you trying to view them from a non-US IP address, and Vitamix will not send reconditioned machines outside the US. If you have access to a US shipping address you can place a phone order. I just tried ordering online from the USA (I’m a visiting Canadian citizen) and even have a USA address that I can use. However during the method of payment to use my Canadian credit card – it stopped me dead in my tracks because the shipping address didn’t match my billing address. Plus there were no dropdown options for any Canadian provinces. So bummed that I cannot order a re-furbished product. Why is that the case?? My guess that it didn’t let your order through due to some automated fraud prevention system. Last I heard, if you have a US shipping address you can place an order on the phone, even if you have a credit card from another country. So try giving them a call (800-848-2649), and hopefully they’ll be able to take your order. Remember that you can still use my free shipping promo code on the phone, just mention code 06-007021. Wow Adam you certainly are on top of things!! This website is fantastic and during the last day I have become such an informed consumer. (Even the lady at the Williams-Sonoma store was impressed by my knowledgeable answers to my research! – She even didn’t know there was more than just the Professional Line). Anyways Adam I will try calling tomorrow (tried calling today after hours) but do you know for sure if they are open tomorrow (Sunday?). Btw just to confirm I’m wishing to order a refurbished Professional 750 model – those exist yet since it’s such a new item!?? I don’t know if they will be open Sunday, but I’m guessing that they will be. If not, they’ll definitely be open Monday. The Pro 750 has been around for about 18 months, so there’s been plenty of time for reconditioning…. I have read and enjoyed every post on this site. I just returned the 6300 I purchased to Costco and plan on purchasing a refurbished one from Vitamix. The question is which one. I use mine for ice cream and smoothies. I have a 5000 currently and from reading the posts I understand that the containers from the 5000 will fit on the 7500. Correct. If so, that would take care of my needing to mix small quantities. Do you know if making I ice cream in the 7500 is easier? And you believe that the power of the 5200, 6300, and 7500 to be the same ? Yes, the 5000 containers will fit the 7500. Making ice cream in the 7500 is similar to making it in the other machines. (You still need the tamper.) The one main thing to keep in mind is that if you use the wide container the minimum amount to blend well is a bit more. The power of the different models is similar enough that I don’t think it makes a difference. Thank you for keeping on top of it. I hunted down the same deal from Vitamix and just took the plunge for a refurb 5200. I wanted a dry container but no can do even with the $50 off. It’s a lot of money still for us; it’s my and DH’s Krismas this year. I’m so excited. I have not been reading your blog for long, but I have to say that yours is one of the best one I’ve come across about blending. Thanks again for sharing all this info. Am I the only one who can’t get their shopping cart to work? I follow the link, click to put the item I want in the cart, and it tells me there’s been a problem and to call. Any idea what’s going on? So if anyone else does have this problem, try a different browser. Do you think these similar deals will happen again after Christmas? 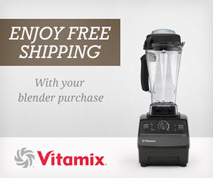 Sadly, I missed the Black Friday / Cyber Monday deals on the VitaMix website. Do you think they’ll run another special in December? Thanks! I can’t say for sure, but if last year is any indication, Vitamix won’t have any offers like these again until next November. The good news is that the reconditioned units are a solid deal year-round. Is it weird that I ordered on December 2 and a week later still haven’t received a shipment notification? If that’s normal it’s fine, I’m not in a big rush. It’s just that after the trouble I had getting my order placed I’m concerned something could be wrong somewhere. I should add that I ordered only a container (32 oz wet). Unless you paid extra to expedite, that is still within the normal range. Standard orders ship in 7-10 business days (as per their FAQ), so you should give it another week before starting to worry. During less busy times of the year non-expedited orders often get shipped in a week or less, but I’m not surprised that it’s taking a little longer now. I am looking into buying a vitamix 7500 reconditioned however Costco has the demo going on for the 6300 for $499 I’m trying to figure out if vitamix usually has these Black Friday deals every year because in that case I can wait, do you know if this is a year they should be having it? Thank you! I don’t know exactly what will happen for Black Friday, but based on the past couple years I can guess. There will probably not be any lower prices on machines than what is currently available. There may be a deal on containers. Last year you could take advantage of the container deal without buying a machine at the same time, so I don’t think there’s any reason to put off buying a machine. If you’re considering the 6300, do you know that the reconditioned 6300 (aka Standard Programs) is currently discounted to $349? Major savings compared to Costco. Vitamix does not usually run promotions on the 7500 (reconditioned or new), although they did recently reduce the reconditioned 7500 price by $20. 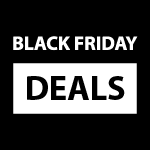 Do you know if you can get these Black Friday deals for either refurbished machine and still use the payment plan both provide? Is the additional $30 off blendtec already applied or will it not apply until black friday? thanks! All the deals described on this page are live. Enjoy! I was told that the $285 deal was going live today, but you are right that it hasn’t shown up on the Vitamix site yet. I expect that it will show up soon—I am investigating and will keep you posted. The $285 deal is now live. The price I’m seeing for the refurbished Vitamix 5200 is $299. When will it be discounted to $285? I am chiefly interested in the Vitamix to make almond milk. Will this model be sufficient? Thanks for all the great advice! The deal just went live, so try the link again. The 5200 will work great for almond milk. thank you! Just bought it. Interested in a reconditioned 5200 or a reconditioned pro 750. What are the advantages of each and how do I do about making a purchase and getting these amazing deals shown abobe? For deciding between a 5200 and Pro 750 there are really two decisions: do you want the presets, and do you want the wider container/blade? You can read my thoughts on both questions in the early sections of my Vitamix comparison page. To take advantage of the deals on this page, just click the links above…. Thanks so much for the info. I just purchased a refurb. 5200 from Vitamin and plan on getting the $50 dry container. Woohoo! I make smoothies every day pretty much for my family of 6 and my poor blender is End of Life! Looking forward to giving the VitaMix a try. If it ends up not working for me I can always return it with their fantastic return policy. I’m sure it won’t disappoint though.